about the search options later. See figure 41.
of magnitudes: 1 to 100.
search report. Adjust the interval as needed. Range: 1’’ to 9999’’ (or 2h:46’:39’’). Fig. 41. Detection options toolbar: Sensitivity and Interval. You can focus View to search for motion only on areas of the video that you mask. 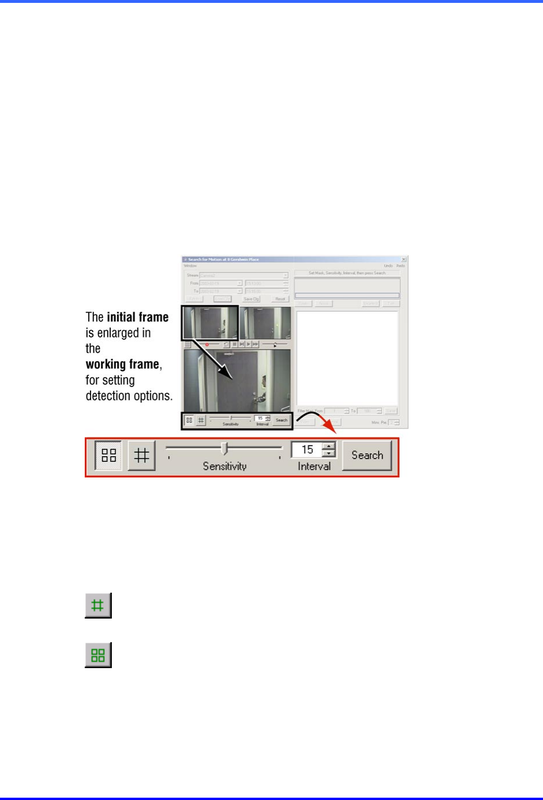 the video image, to help select the area(s) used to search for motion. mask, see 5.7.1, Repeating a Motion Search, on p.5–16.